"Our new Gaming Unit looks really cool and makes a great statement for our brand. Being mobile and easy to update has really been a great asset for our events team." 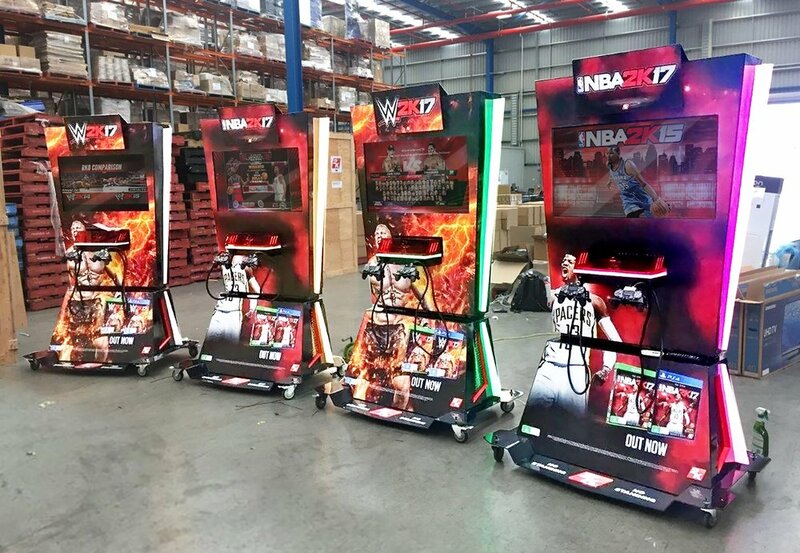 2K Games required a mobile gaming kiosk to use at product launches and events across Australia and NZ. 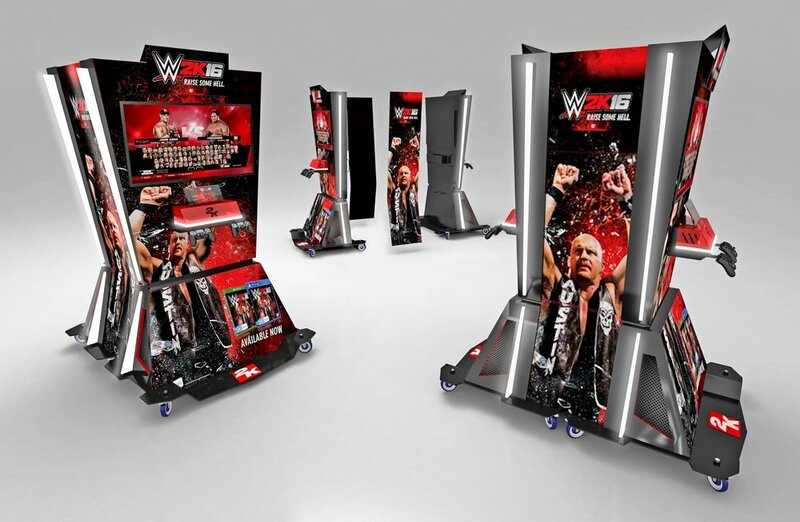 The unit travels in a branded crate to events, and the Gaming Kiosk can be pushed together for a two sided back to back option if required. Key components of the design included - functionality for both PS4 and Xbox 1 systems, security / easy swap over of all devices, and flexibility for using new graphics for future game launches. The combination of patented Pixalux® structural light panels with RGB colour variations along with full body inter-changeable magnetic panels provided the answer for immediate brand recognition and crowd participation to ensure maximum exposure at events.